WASHINGTON (AP) — No more wondering where your hamburger came from, or where your lettuce and tomatoes were grown: Starting this week, shoppers will see lots more foods labeled with the country of origin. It's a law years in the making but timely, as China's milk scandal and the recent salmonella-tainted Mexican peppers prompt growing concern over the safety of imported foods. Still, hold the import-bashing: Numerous outbreaks in recent years have come from U.S.-produced foods, like spinach grown in California. Until now, shoppers have had little clue where many everyday foods — meats, fresh fruits and vegetables, certain nuts — originate. That's what the so-called COOL law, for country-of-origin labeling, changes. Those who want to buy local — or who prefer, say, Chilean grapes and New Zealand lamb — can more easily exercise their purchasing power. Those worried about lax safety regulations in certain countries can avoid those imports. And the next time tomatoes are suspected of food poisoning, consumers may be able to tell investigators they bought only ones grown in a certain region, speeding the probe. "We do see it as an important step on the road to a more comprehensive system for tracing food items" during outbreaks, says Caroline Smith DeWaal of the Center for Science in the Public Interest. "It will be a very good thing because we'll have a lot more information," adds Jean Halloran of Consumers Union. But, "you can still be fooled by the COOL label." How? There are bunches of exceptions. Fresh strawberries get a label but not chocolate-covered ones. Raw peanuts? Label. Roasted ones? No label. Those popular pre-washed salad mixes? Sometimes. Q: What does the new law require? Q: Where will I see the country of origin? A: Anywhere it fits. The rubber band around asparagus; the plastic wrap on ground beef; the little sticker that says "Gala" on an apple. If a food isn't normally sold in any packaging — such as a bin of fresh green beans or mushrooms — then the store must post a sign. Q: Aren't many foods already labeled? A: Some fresh produce already uses origin labeling as advertising. "Fresh from Florida" or "Jersey Grown" or "Vidalia Onion" tags don't have to be changed under the new rules; the shopper should realize they're all U.S. products. The COOL law mandating such labels first passed in 2002, but lobbying by grocery stores and large meatpackers led Congress to delay the U.S. Department of Agriculture from implementing it. Seafood labeling was phased in first, in 2005 — a key change given recurring safety problems with fish and shellfish from certain countries, including China. Q: What's the biggest exception? A: The labels aren't for processed foods, meaning no label if the food is cooked, or an ingredient in a bigger dish or otherwise substantially changed. So plain raw chicken must be labeled but not breaded chicken tenders. Raw pork chops are labeled, but not ham or bacon. Fresh or frozen peas get labeled, but not canned peas. Raw shelled pecans, but not a trail mix. Q: What if the foods are merely mixed together? A: They're exempt, too. So cantaloupe slices from Guatemala get labeled. Mix in some Florida watermelon chunks, and no label. Frozen peas, labeled. Frozen peas and carrots, no label. As for bagged salads, USDA considers iceberg and Romaine to be just lettuce, so that bag gets a label. Add some radicchio? No label. Q: Must all stores comply? A: No. Meat and seafood sold in butcher shops and fish markets are exempt. Q: What if companies buy food from various places — beef from both U.S. and Mexican ranchers, for instance? A: That's a bone of contention between large U.S. meat producers and smaller ranchers that produce exclusively U.S. animals. Tyson Fresh Meats, for instance, says it's too expensive to separate which of its cattle came from which country. So in a July letter to customers, Tyson said it would label all beef "Product of the U.S., Canada or Mexico." The National Farmers Union is protesting; USDA is considering the complaints. Q: Aren't country labels on some processed foods? A: Yes, tariff regulations have long required that a food put into consumer-ready packaging abroad be labeled as an import; that doesn't apply to bulk ingredients. Q: When does the change take effect? A: The law goes into effect Tuesday, although USDA won't begin fining laggards until spring. Violations can bring a $1,000 penalty. WASHINGTON - September 18 - Consumers Union finds it "incomprehensible" that the FDA will not require labeling of genetically engineered animals that are sold as food. Genetically engineered animals may contain genetic material from entirely different species. For example mouse genes have been put into pigs to help them metabolize phosphorous more efficiently, and spider genes have been put into goats so that they produce spider silk in their milk. FDA proposed today that they will only review genetically engineered animals for their safety as food, and will not require any labeling. "It is incomprehensible to us that FDA does not view these animals as different from their conventional counterparts, and therefore something that under law is required to be labeled," stated Jean Halloran, Director of Food Policy Initiatives at Consumers Union, nonprofit publisher of Consumer Reports. "In our view, consumers have a right to know if the ham, bacon or pork chops they are buying come from pigs that have been engineered with mouse genes." Consumers Union is also concerned that cows engineered to produce antibiotics in their milk, which can help the cow avoid udder infections, also will not be labeled. "Unlike conventional antibiotics, which must be cleared from the cow before it can be used to produce milk or meat, the antibiotic that is genetically engineered into the animal will always be present. We are concerned both about the potential safety and lack of labeling on such food products," stated Michael Hansen, Ph.D., Senior Scientist at Consumers Union. WHAT’S IN AN EGG? The array of labels on egg cartons can be bewildering. Some provide reliable information about audited claims (like “U.S.D.A. 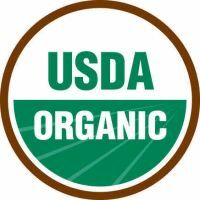 organic” and “certified humane raised and handled”). Others are unregulated and unverified. Ever thought about all the preservatives and the synthetic ingredients that make the processed foods we eat? Twin Oaks Farm the place "where real food is grown" will show you how to demystify food labels! we are not supposed to eat food that glow in the dark !!! To most people, sodium nitrite simply sounds like a form of salt, but, in fact, this ingredient is extremely carcinogenic. When combined with your saliva and digestive enzymes, sodium nitrite creates cancer-causing compounds known as nitrosamines. These nitrosamines are so toxic to biological systems that they are actually used to give lab rats cancer in laboratory tests. In humans, the consumption of sodium nitrite has been strongly correlated with brain tumors, leukemia, and cancers of the digestive tract. Yet this ingredient carries absolutely no warning on food labels, and in fact, seems to sound like a perfectly safe ingredient, like sodium. Hydrogenated oils -- causes heart disease, nutritional deficiencies, general deterioration of cellular health, and much more. Found in cookies, crackers, margarine and many "manufactured" foods. Used to make oils stay in the food, extending shelf life. Sometimes also called "plastic fat." Excitotoxins -- aspartame, monosodium glutamate and others (see below). These neurotoxic chemical additives directly harm nerve cells, over-exciting them to the point of cell death, according to Dr. Russell Blaylock. They're found in diet soda, canned soup, salad dressing, breakfast sausage and even many manufactured vegetarian foods. They're used to add flavor to over-processed, boring foods that have had the life cooked out of them. Food companies now "hide" MSG in safe-sounding ingredients like yeast extract or torula yeast. Many so-called "healthy" or vegetarian foods also contain the very same "scarry" ingredients as conventional groceries ... once again read the label !!! !